A consortium led by Apple (s AAPL), Research In Motion (s RIMM) and Microsoft (s MSFT) have snatched up Nortel’s 6,000 patents for $4.5 billion in an auction that could lead to further trouble for Google (s GOOG), which was outbid for the trove of intellectual property. So now the winners, which also included Sony (s SNE), EMC (s EMC) and Ericsson (s ERIC), have access to a cluster of patents that cover a wide spectrum of communications and Internet services, from wireless and 4G to data networking, semiconductors and social networking. RIM came forward and said it paid $770 million for its share of the bid while Ericsson has said it contributed $340 million. Nortel said the deal must still pass Canadian and U.S. Court approval, which will occur at a joint hearing scheduled for July 11. The deal represents a big set back for Google, which initially pursued the patents and won a stalking horse bid for the IP, setting the low bar on the auction at $900 million. The company had said at the time that while it was looking to enact long-term patent reform, it was bidding to shore up its smaller patent portfolio and provide a disincentive for others to sue the search giant. The mobile industry is currently in a state of patent warfare, perhaps best likened to the Cold War strategy of building up an arsenal so huge that to attack it assures mutual destruction. In this game, Google’s lackluster patent portfolio makes it a small player whose “do no evil” motto makes it seem naive at best and weak at worst. Competitors and other companies have sought to capitalize on Google’s weaker IP position. Oracle (s orcl) has filed a copyright and patent infringement case against Google for its use of Java in the Android operating system. Other mobile competitors, notably Apple, have gone after Android manufacturers for their use of disputed IP. Microsoft this week announced three Android manufacturers have agreed to pay patent licensing fees for their use of Android. Obtaining Nortel’s patents would have provided more cover for Google and its partners. And it would have signaled how robust a defense Google was prepared to mount on behalf of Android and Chrome and other products. But now, if the auction proceeds, Google could face even more of a squeeze without the cache of patents it can offer for cross-licensing deals. Some, like IP expert Florian Mueller, have already called Android a “suit magnet” and that moniker might be even more apt now. And Google’s promise of a free operating system continues to get undermined as more and more manufacturers now feel the need to strike licensing agreements. Google is aware that we’re in an era of patent wars as competing companies look to establish their ground in the exploding mobile space. Apple’s recent deal with Nokia showed the environment is heating up and Nokia is likely out for more targets after extracting money from Apple. Google can hope for patent reform and that may eventually come. But for now, it needs more muscle and it lost out on a big chance to beef up in the Nortel auction. The first casualty of war is truth, right? In absolute terms this looks to me (from the standpoint of someone with no vested interests at all in where the industry goes), as though Google really are doing “No Evil” in this instance. This is so disingenuous. Google’s idea of open innovation is to steal IP for the Android platform and give it away to support their advertising/search revenue stream. Regardless of the inequities in current patent law, Google cannot escape the fact that it simply taking what is not theirs and using it to earn money that rightfully belongs to the original technology developers. In my opinion, those that support the so-called “openess” of Android platform are no different than those that pirate music and films simply because “free” is attractive. It’s not right, and I can’t support it. 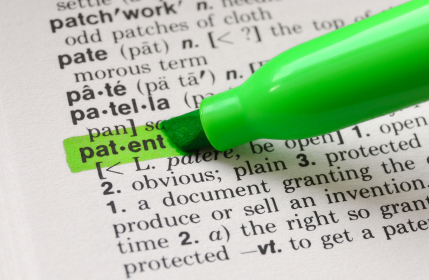 The patent war today just shows how bad the s/w patents are abused. Basically, you cannot write 2 lines of codes without stumbling on some patent. This model is a complete failure – it doesn’t protect IP, it is used as a weapon to gather “rights for s/w structures”, which anyone with a reasonable mind attains quite quickly and independently. The model should protect real innovation, that has taken a long time and large effort to achieve. usually, this isn’t s/w. In other words, where did Android copy anything? Why couldn’t it be considered a genuine creation of its own? Idont think its about “do no evil” These are just sentimental words from a time long gone, the days of a dream to create something big. And they did create something big, they created a machine with an insatiable appetite. Imagine this relationship; candy to a dentists income. Candy companies making a product to sell directly to consumers, the dental industry independent of the candy company receives more patients as a result. Apple, Microsoft,Sony,RIM, sell you their products directly. The Google model sells “you” as their product to their customers, by offering free candy. Here kids “free candy” Of course its going to take-off like wild fire with the masses, most people don’t think about it! and others don’t care they just want “free” stuff. Google makes free gifts to attract their product, “People”, people are Google’s product, witch Google sells to their customers. The dental industry started making candy to give away for “free”. I’m not saying they are evil, or that others don’t do the same, but Google is a MASSIVE succcess of the model. Many put the company on a high horse, when really its a competitive machine. And it feels kinda sneaky. I still find it kind of humorous to see these old world companies (in how they make money) like Apple/MS being scared to death of new age companies like Google/Facebook. The point being, nothing any of them can do will stop the rise of Google. They know that & at this point are simply trying to slow down the tidal wave. The number 1 thing Google can do to protect itself for now is to set absolute dominant marketshare. Windows was “protected” heavily for years as governments & corporations came to depend on it as the backbone of their infrastructure, this is essentially what Google wants to do in the new wave of computing, mobile. This is not a done deal yet. As per Nortel, this has to be approved by US and Canadian courts. While there may not be anything illegal with a bunch of companies forming a consortium to purchase the patents, the use of those patents by these companies could be colored as collusion. I am not a lawyer, but I hope this or some similar argument can block this deal. Please, collusion normally involves illegally limiting someone else’s rights or establishing an unfair market advantage. There’s nothing unfair about being willing to pay for IP. Google shouldn’t be disappointed. Google’s partners should be disappointed that the company that claims they are doing everything to protect their partners and to encourage healthy, free competition values its partners, its ethics, and its own competitiveness in the IP world about as much as or less than a coupon site. I do agree that Google really needs to look for ways to expand their IP portfolio ASAP. They should probably put some money towards PR and lobbying aimed at patent reform too.